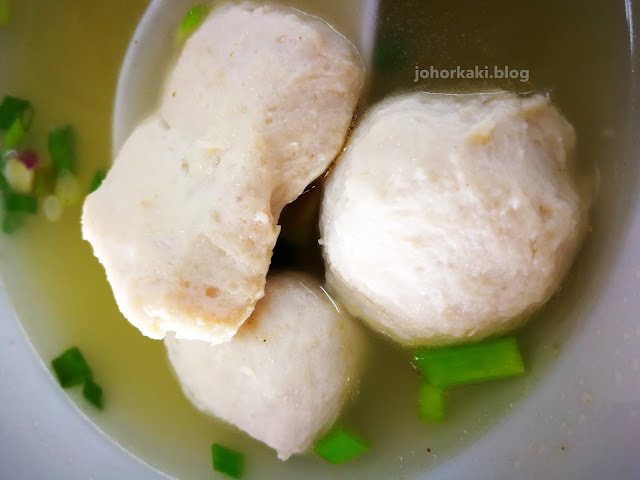 I am a big fan of KL style pork ball noodles - they are among my best memories of my years in Kuala Lumpur nearly 20 years ago. 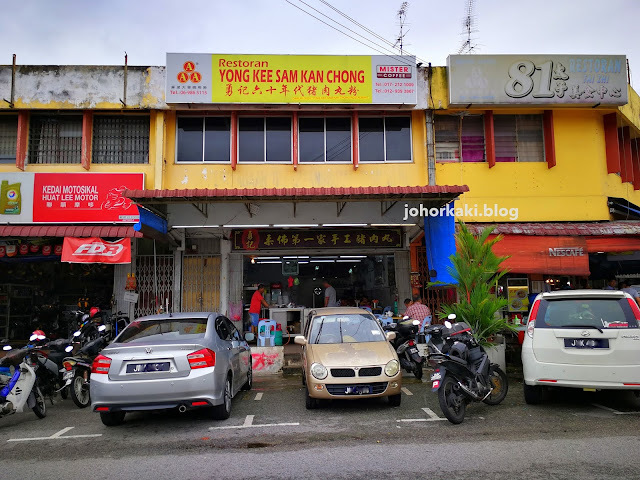 So, when I stumbled upon the Yong Kee Sam Kan Chong shop in Taman Ungku Tun Aminah, naturally I stopped to check it out. The boss, Ah Yong, hails from Kuala Lumpur. 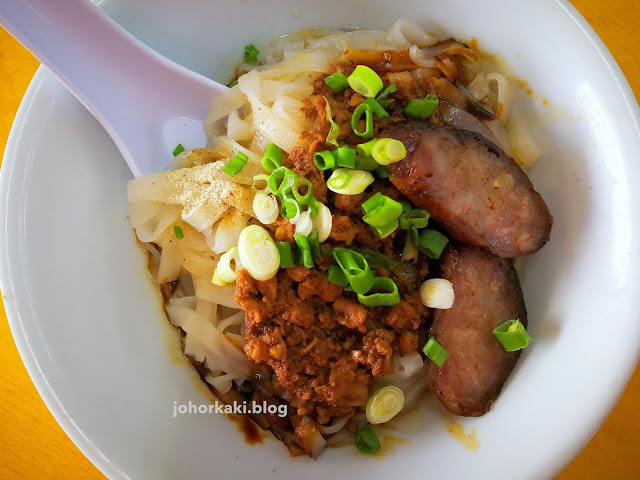 Ah Yong began his life long relationship with pork ball noodles in the early 1970s when he started work as an apprentice in his neighbour's pork ball noodle stall. 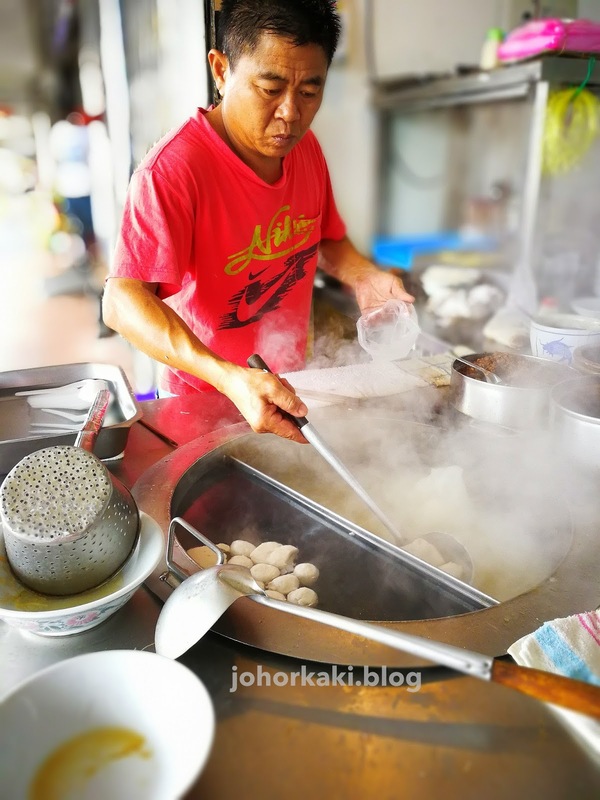 Ah Yong's sifu (master) learnt his craft working at KL's legendary pork ball noodle shop known as Sam Kan Chong 三间庄 while means "three shop lots". You see, the legendary pork ball shop does not have a name, and as it occupied three shop lots, customers simply called it "three shop lots 三间庄". 三间庄 shut its doors permanently in 1968, but fortunately, it's legacy lives on in its style of pork ball noodles. Now, Ah Yong has seven shops and stalls in KL under his Yong Kee 勇记 brand. The JB branch is Yong Kee's first venture out of KL. Ah Yong has been in JB for a year now and his fan base is growing steadily. 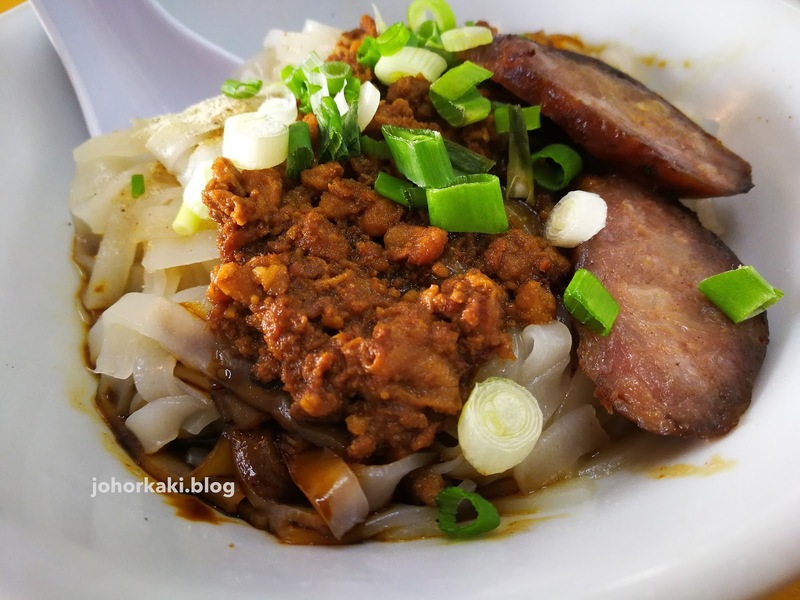 The Sam Kan Chong style of pork noodles is a variation of Hakka noodles. 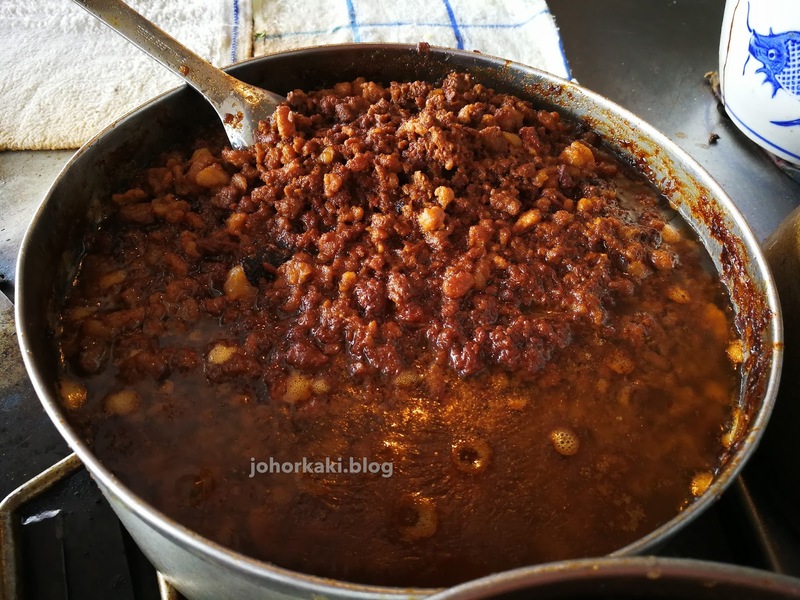 So, it has the signature browned fried minced pork topping. In addition, there is the Cantonese grilled pork sausage known as siu cheong 烧肠 in Cantonese (my Mother tonque). 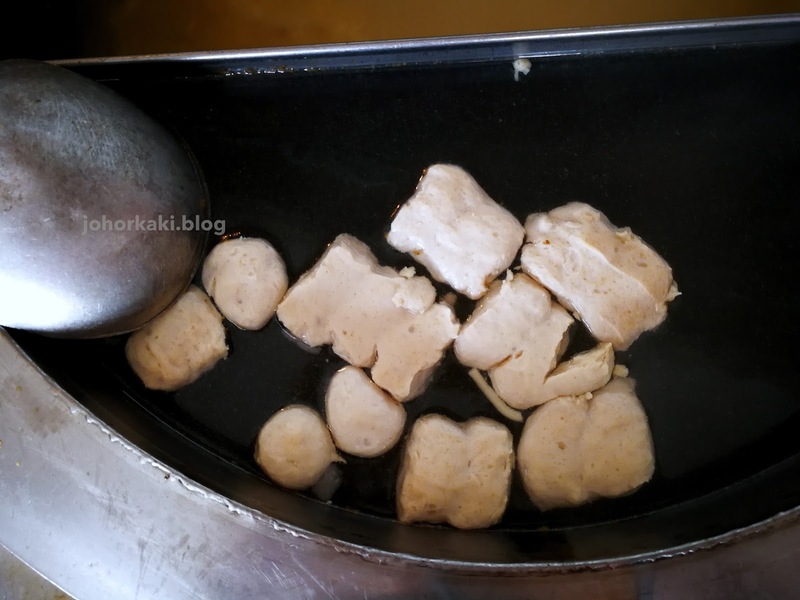 The Sam Kan Chong style of pork balls - there are the usual round ones and the signature oblong ones. 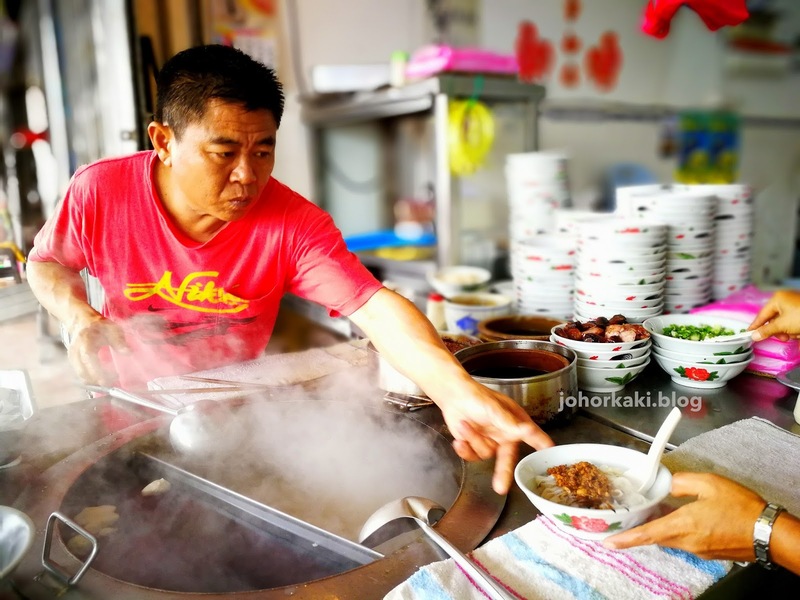 Ah Yong makes the pork balls with fresh minced pork everyday at the shop. Ah Yong also supplies these pork balls to hawkers who run "Sam Kan Chong" stalls in coffee shops in Johor Bahru. Pork bones used to make the broth. 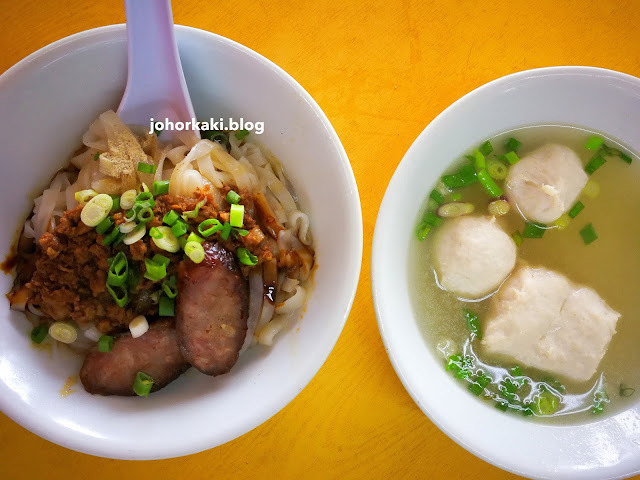 The pork ball noodle set starts at RM6, which I thought is a reasonable price. 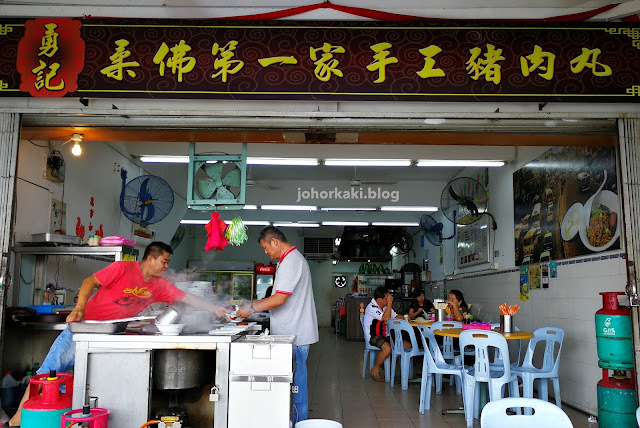 Up to this point, my favourite KL style pork noodles is 燕美猪肉丸粉 at Jalan Imbi in KL. I ate there many times as it is near my old office and I have been back regularly during my frequent KL trips. Ah Yong's siu cheong is balanced savoury-sweet whereas Imbi's is intensely salty. Ah Yong's siu cheong is tenderly soft while Imbi's have a soft-gritty graininess from ground pork which I prefer. 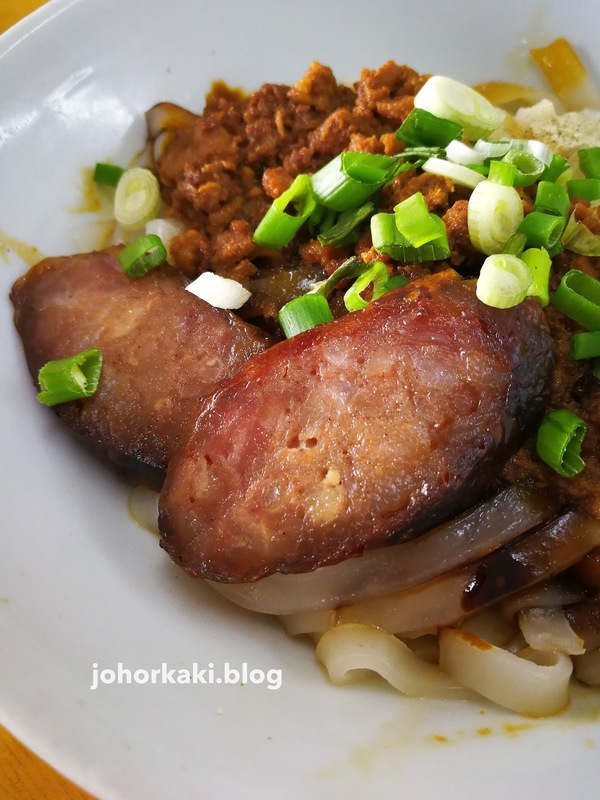 Imbi's siu cheong is very greasy while Ah Yong's is just moderately oily. After a good toss, the kway teow kia is well coated with blended savoury-sweet dark sauce and fried minced pork. 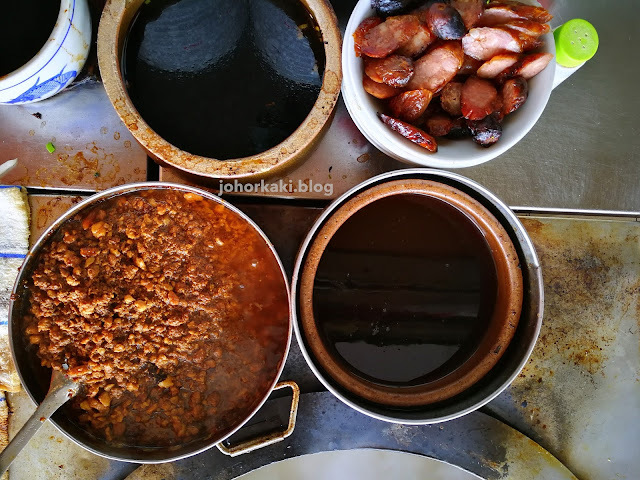 It's delicious, especially the slightly toasty taste of the savoury-sweet fried minced pork. 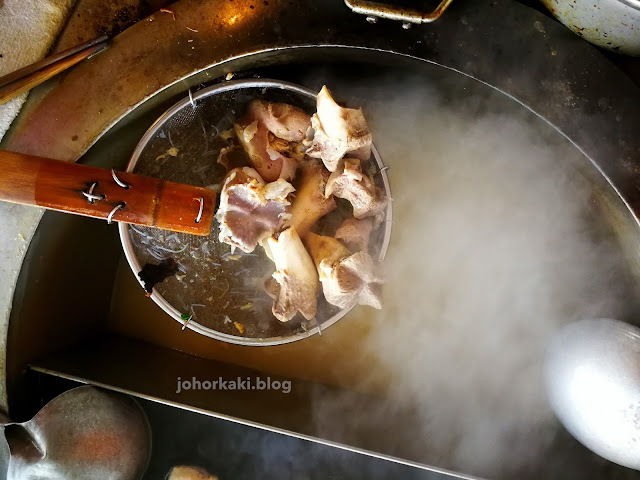 There is a bit of spiciness from the puff of white pepper (a signature of Sam Kan Chong style). The kway teow used though, is a little heavy on tapioca starch so it has a slight plasticky bounce. 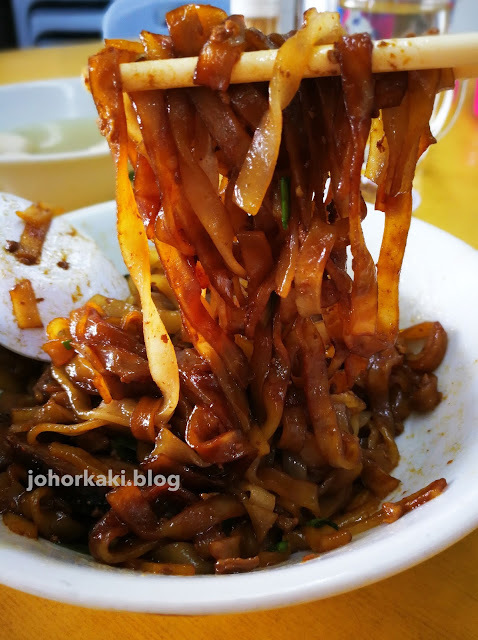 I prefer kway teow with more rice softness and taste. Simple and nice savoury soup. Not greasy at all. Thank you Jennifer. Glad that my blog is useful for you. I didn't know that you're a Cantonese.